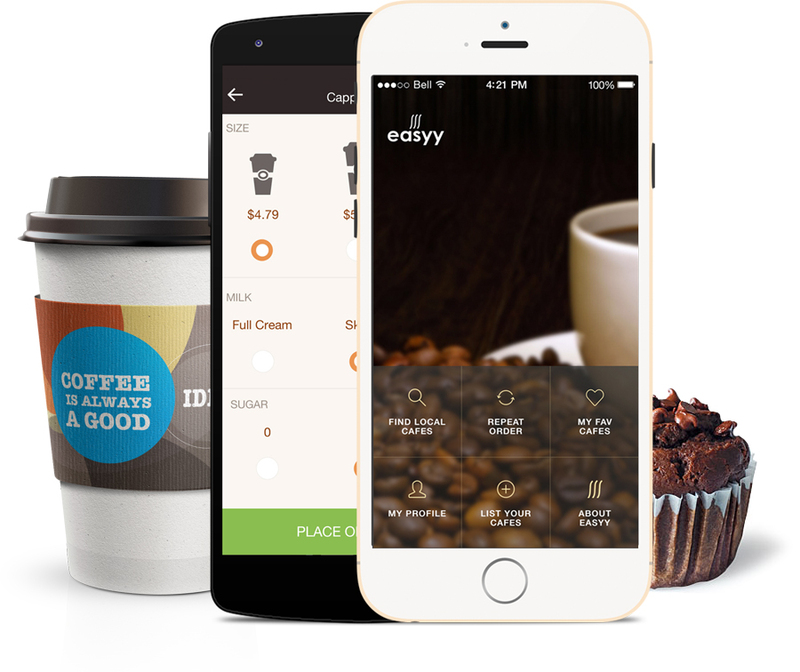 Easyy is a simple and beautiful app that allows users to place an order and pay ahead. That means user can walk in and without waiting in line, ask a barista for your freshly made order at the pickup area. No hassle, no cash, no waiting. After market research and competitors analysis we found that there are few similar mobile apps, that provide the same functionality, but they all offer very complex and in-depth solution. 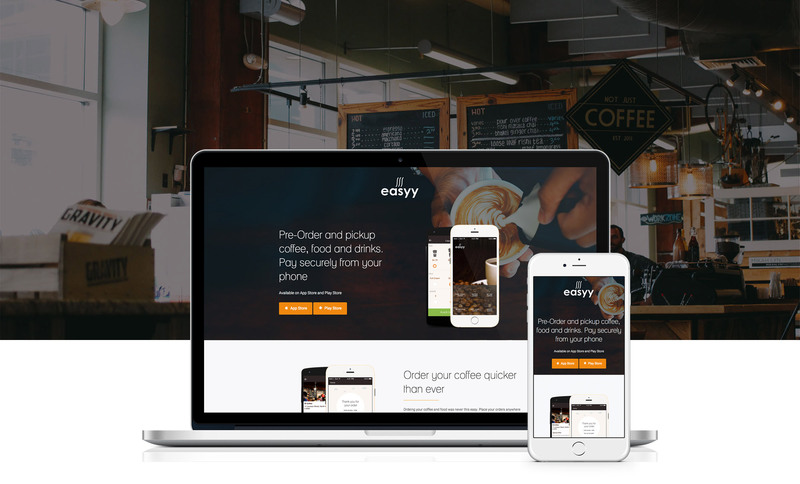 The client's main idea was to create a simple app that would stand out and allow users to browse coffee shop menu and place order. The second challenge was to work through the low budget that was available. 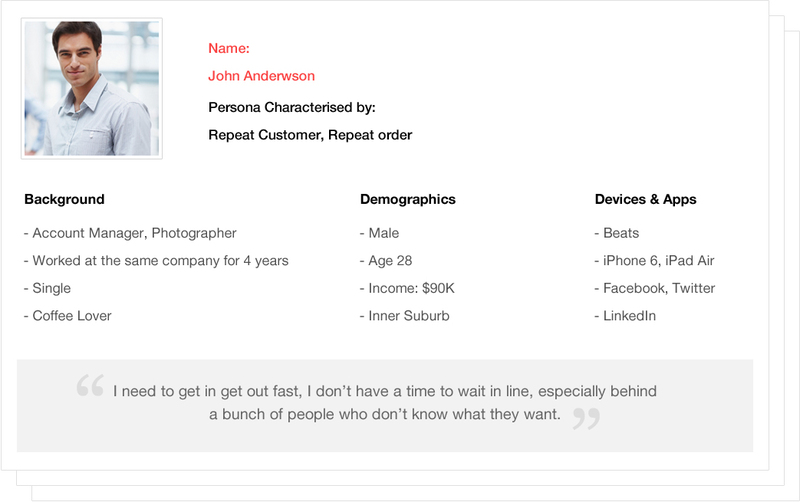 Creating personas helped me to create empathy and understanding of people I am designing for. Task flows helped us to think through the design, before a feature is actually developed. It helped us to interject the user into the flow of the application, and determine if the conceptual model agrees with the user model. I always start any project by sketching first; quick wireframe sketching allows to painlessly seeing changes and alternative solutions almost immediately. After the main features were worked out on paper, I made wireframes. After our wireframes were created, we decided to do some first one-to-one interviews in which users would be asked to perform a series of tasks. Through the interview we asked our users to perform specific task; like find nearby cafe, edit profile, add to cart, save credit card, check out, reset password etc. By watching our test users use our product we found that there is still room for improvements and that there were a lot of areas that were confusing and not simple or clear enough. We updated our wireframes and invited potential users to a second interaction. 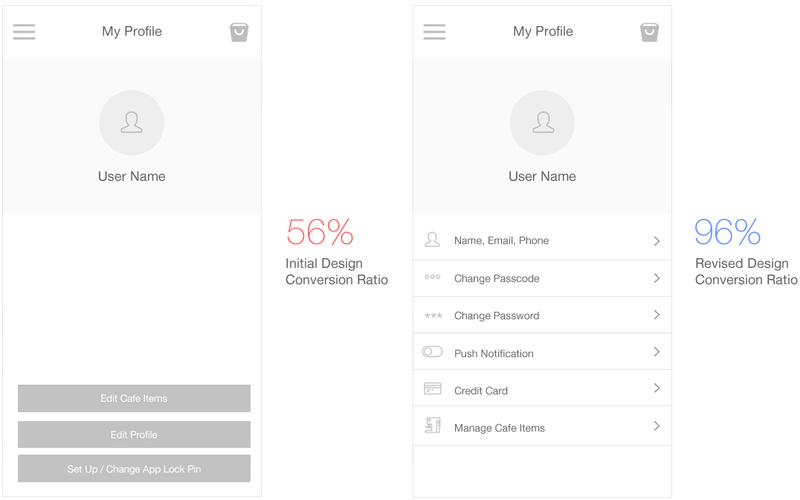 After all the wireframes were designed I moved onto styling the user interface of the app. I focused on designing an interface that was simple, clean and beautiful. I designed a simple responsive landing page for the app. Again, my goal was to keep the visual style consistent across the app and promotional material.